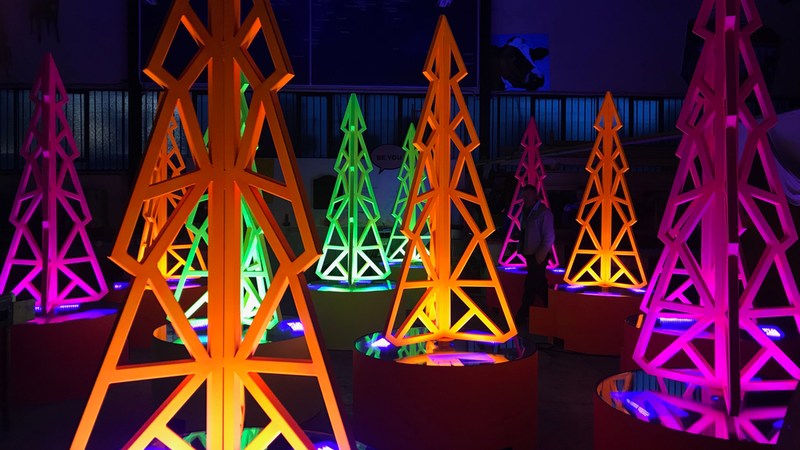 We created 12 UV Christmas Trees used to transform a large walkway in Stratford for Christmas 2018. 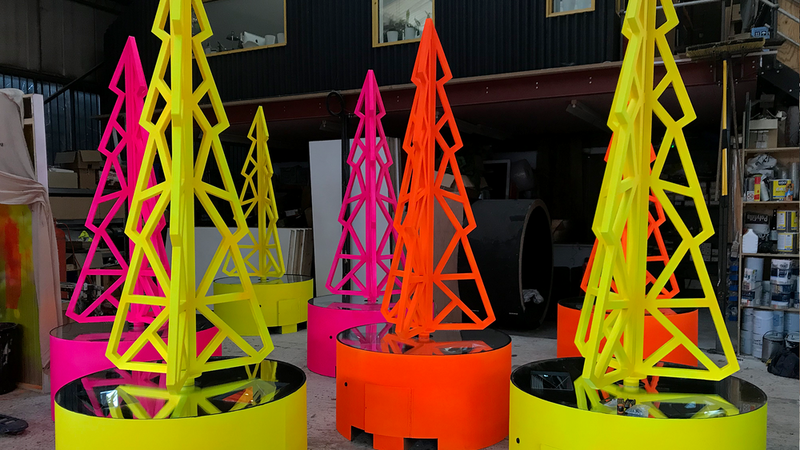 By day the colours were bright and vibrant, by night the UV lights stored in the base lit up the trees and gave them a fluorescent glow. A bold and striking installation.